(b) moving your neck in imitation of the tortoise necked dance that went with the Bangle's song Walk Like An Egyptian. 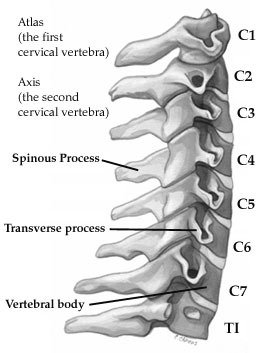 If you do this you will shear the C5 and C6 vertebrae in your cervical spine. This will trap the median nerve. This will cause neck and shoulder aching, stiffness down the outside of your arm ( not unlike when the muscles go stuff after a travel inoculation) and tingling in your ring and middle fingers and thumb. You may also get a bit of tingling in the pads of your palm as the ulnar nerve has compensatory damage. You will then be forced to give some of your quilting money to a nice physiotherapist who will stick acupuncture needles in your arm to desensitise the nerve (you will not feel a thing but do not try it with your machine needles at home) and she will then manipulate your neck very gently and give you some exercises to do. You will just be thinking what a nice lady she is when she will tell you not to go near your sewing machine for three weeks. Yes. Three. Ask me how I know all this. Actually, I knew it before but I did it anyway. Looking on the bright side of life, at least we are going away for a while anyway and this is now an opportune time to get the machine serviced! OH - sounds nasty and a bit familiar! But I think mine comes from typing and driving rather than sewing! I love that tune. Everything else about this post, I do not love. You must be suffering from withdrawal symptoms as well! Yikes! Giving quilting money to the physical therapist is no fun at all, and neither is being hurt.